This article is going to be an odd analogy between hardworking, loyal cowboys and people involved in ministries. 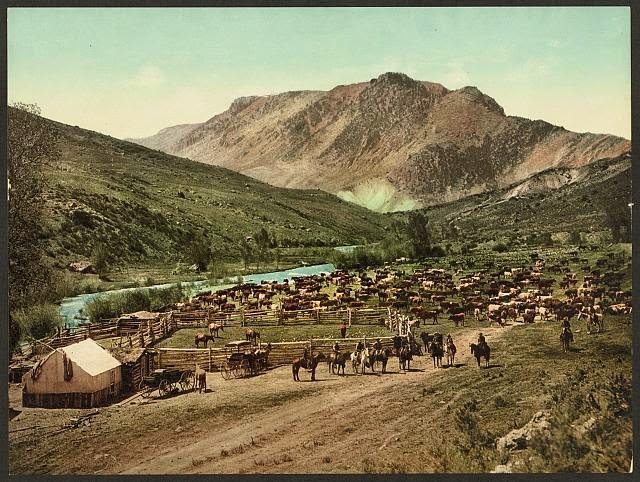 The "golden age" of cowboys and the great cattle drives only lasted about twenty years, but quickly became the stuff of many television shows, books, movies and so on. However, cowboys still exist. (While some ignorant people use the word as a pejorative, cowboys then and now were known for hard work and loyalty.) There are not many Westerns being made for television and movies any longer (except for ultra-violent and "adult" shows, it seems), but the image of the loyal cowboy that puts in long hours and does often dangerous work lives on — and cowboys still exist. A duty in farming and especially in ranching is to "ride the fences". The cowboy rides the fence perimeter to look for damage (which may mean thieves breaking it down to make off with livestock), see if an animal is caught, make repairs and so on. It is mundane work that needs to be done on a regular basis. Chris LeDoux had a song in 1992 called "You Just Can't See Him From the Road" (sometimes called "Ridin' Fences"). I happened across it when researching another article, got an inspiration and that is where this article came from. And it's not even a Christian song. Well, I'm not too familiar with Roy Rogers or Gene Autry (maybe because I'm not into the singing cowboy image), but they were extremely popular several decades. They had an image of strong values, work ethic and fighting evil... It's too bad that those characters, as well as the ones in shows like "Bonanza" are gone. But I digress. These guys had the spotlight. That last sentence caught my attention: You just can't see him from the road. My calling is in creation science, worldviews and encouraging Christians to uphold the authority of Scripture. I will never be another Ken Ham, Jonathan Sarfati, David Catchpoole, Tas Walker, Jason Lisle, Henry Morris or a "big name" in creation science ministries. That is not my calling (Acts 6.1-4, Ephesians 4.1). Not many of us are to be in the spotlight, but rather, to be among the many in supporting roles. 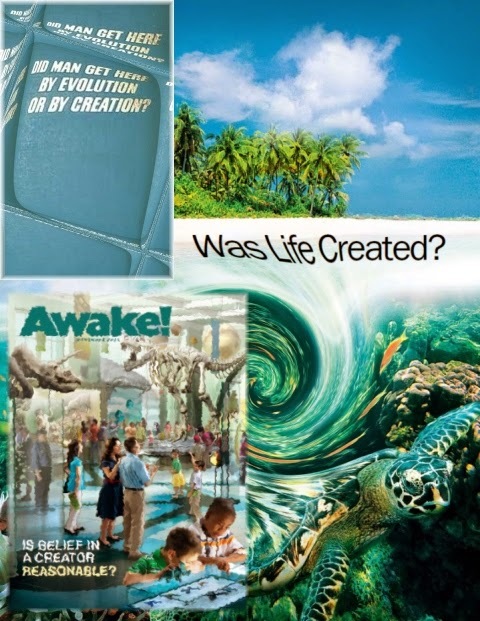 My creation science ministry gives support to other ministries (including individuals on occasion) and has its own unique impact for the sake of the Word and truth. The accountant, receptionist, ministry librarian, floor sweeper, writer, tour guide, audio-video technicians — many people are involved in making a ministry happen. Other ministries are largely unnoticed, and their impact may not be known in this life. It all adds up, however. Back to the chorus. The last part of the next to the last sentence also has meaning: As long as there's a sunset, he'll keep ridin' for the brand. I don't get the sunset part, but "riding for the brand" means keeping your employer's best interests at heart. The "brand" term is used today where businesses want their employees to be loyal to "the brand". Here, I'm giving it the meaning of giving glory to Jesus Christ (1 Peter 4.11). After all, he is our ultimate employer (Ephesians 6.5-9). There are other parts of the song that emphasize the hard work, generosity and character of the cowboy, but those are not my points of emphasis. Please pray for people involved in ministries, including the ones riding the fences. Satan doesn't like their work. If you're discouraged because you're behind the scenes (and possibly tempted toward jealousy), know that God put you there for a reason, and we're working for the greater good. Even if we can't be seen from the road. When presenting the gospel, one thing that I emphasize the importance of biblical creation. Not for its own sake, but because of the importance of the authority of the Bible for the Christian. In my Weblogs and at The Question Evolution Project (as well as the Google Plus version), I post not only science supporting special creation and refuting evolution, but warnings about atheism's useful idiots who use atheistic interpretations of scientific evidence and elevate "science" into a magisterial position above Scripture. Theistic evolutionists and Old Earth Creationists (OECs) are compromisers who will call creationists "liars" and enemies of Christianity (it is interesting to be called a liar by a liar) — and still claim to believe the Bible. Atheists, OECs and theistic evolutionists are not the only dangers to a proper understanding of Scripture. Elsewhere, I wrote about how cults will use issues like the creation-evolution controversy to lure people into their deceptions. To add to that, Jehovah's Witnesses and others will say things that we can agree with ("Jesus is the only way to Heaven"), but they have different meanings for their words. I have three articles to recommend on this topic. First, "Creation and a Cult". Second, "How to Talk Creation with a Jehovah's Witness". Third, "A Cult on Facebook Claiming to be Creationist". For further information on cults, I refer you to CARM. Giving you warnings and articles will only take you so far. Christians need to learn how to think. Not only critically (thinking with their minds instead of their emotions, examining the evidence, being aware of the logical fallacies used to manipulate people, and so on), but also to be knowledgeable about the Bible (2 Tim. 2.15, Acts 17.10-11, Col. 1.28). I do not want to cause confusion or contribute to someone going astray because I endorsed material from bad sources. If I was going to refute evolution just for its own sake, I would post material from cults (and Mohammedans, who consider themselves creationists). I saw anti-evolution material posted on Facebook by creationists that was ultimately from the Christadelphian cult. When I pointed this out, the reply was that the source had not been checked — and they left it up anyway! The Intelligent Design people have done some excellent work refuting evolution, but their members come from diverse perspectives, so I seldom use them for reference. Some people seem to be so interested in "doing apologetics" that they not only ignore preparation, but they will use sources that deny the authority of Scripture and may even be denying who Jesus Christ really is. Edit: This paragraph needs to be inserted. I am not saying that every author needs to be vetted to make sure he or she lines up with your theology, but refuting evolution with anti-biblical and anti-creationist sources can be harmful. Citing, say, William Lane Craig (who disparages presuppositional apologetics and young earth creation) in an article about militant atheism can be helpful. Personally, I tend to use disclaimers at times. My advice is to be careful, be discerning, be skeptical (with a healthy skepticism), be thoughtful, be Scripturally minded, be prayerful. Am I asking too much? That depends on how much you value your spiritual life. These concepts transcend the creation-evolution issue. They apply to Christian living in general.